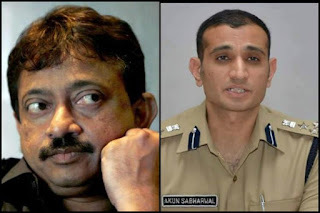 Prominent filmmaker Ram Gopal Varma has accused the Prohibition and Excise Department of Telangana of targeting Tollywood celebrities in a drug racket case, but a top official trashed his allegation. Varma, known for his controversial statements, said the department was using the film industry to make its existence felt. He also wondered if the Special Investigation Team (SIT) will question school children who were using the drugs like they were grilling celebrities for hours. "I am very much wondering if the school children taking drugs also will be summoned by SIT and interrogated for 12 hours like they are doing to Poori jagan and Subba Raju ... just asking?," he stated in a Facebook post. "Of course everyone kind of knows it exists but first time everyone actually heard about this department only because they are using the film industry as a teaser trailer for people to come to know their existence," he said.